After spending your time and hard-earned money at the salon on a new weave, you want to make sure it will last. The best way to ensure its longevity is to take proper care of it. The friendly, knowledgeable professionals at True Indian Hair are experienced in maintaining hair weaves. Their expertise makes them New York City’s top choice for virgin hair products, and their tips will help you extend the life span of your new weave. Tangles and knots can make your hair look and feel less than its best, but stylists say there’s a right way to get the snarls out of your hair weave. Because the piece is sewn into your natural hair, you need brush in small sections from tips to the roots to detangle it properly. If you’re too rough with the weave, you can end up damaging it or pulling out your natural hair. After you’ve washed with the sulfate-free shampoo your stylist recommended, you need to make sure your hair weave dries completely, especially underneath. The small braids anchoring the weave may start to smell if you don’t dry them properly. 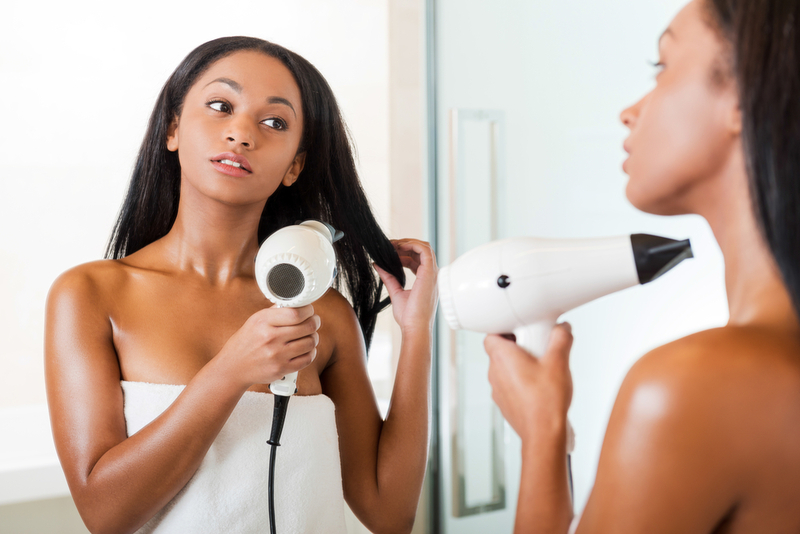 Experts recommend air drying when possible or using the lowest setting on your blow dryer and working from the tips to the roots. Because you wash your hair less when you have a weave, your scalp tends to be itchier than usual. Your hairdresser will tell you not to scratch with your nails or the edge of a hard comb because it can cause your sensitive scalp to scab. To find relief, use essential oils like tea tree or a soothing remedy like a gentle rubber comb or leave-in product. If you’re looking for a beautiful, natural-looking hair weave, look no further than True Indian Hair. With three locations in Flatbush, Jamaica, and Manhattan’s Garment District, this store is known as the premier location for hair extensions, lace wigs, and weaves. For more information about their products, contact the helpful staff at (917) 265-8588 in Manhattan, (718) 221-0181 in Brooklyn, or (718) 262-8231 in Queens or visit them online.